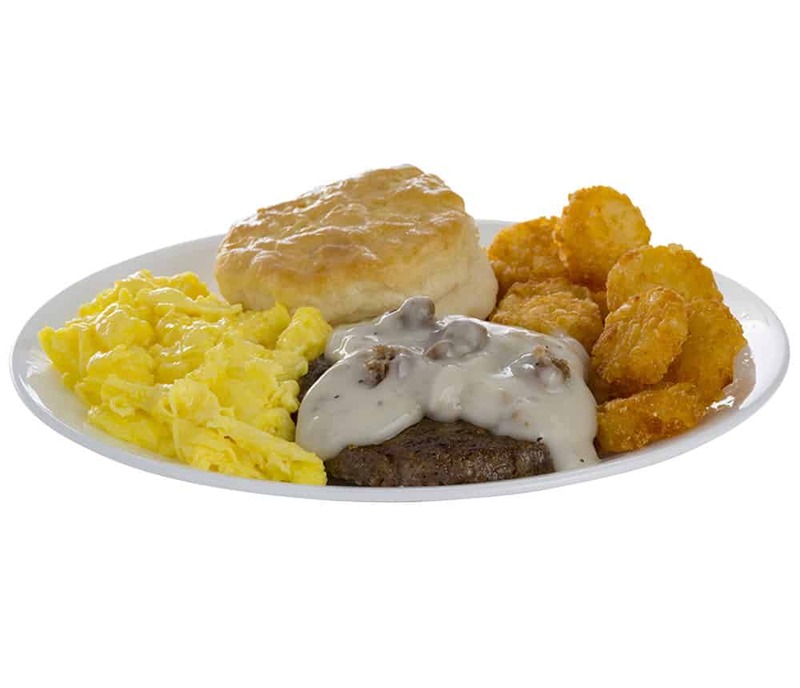 Braum’s breakfast restaurant is proud to serve up our signature Big Country Breakfast. Fill up on scrambled eggs, your choice of sausage, bacon, or ham, hash browns, and a big, freshly baked buttermilk biscuit with butter and jelly or preserves. You can also try our Big Country Breakfast with sausage gravy. Down home cookin’ at its finest!